There’s another aspect of our property that is rare in the Forbes Travel Guide Five-Star world. We are all-inclusive. In the sharing economy, where rooms, rides and food delivery are available à la carte at the drop of the hat, we are structured so that the only reason you need to use your phone is for photographs. Otherwise, unplugging is encouraged in favor of immersion in nature and Western culture. Being an hour and a half away from a city (and the apps that make it tick) is what makes an experience here so special. It’s also what makes it essential that we are all-inclusive. A guest has all that they need on property. More than that, they don’t want to leave and miss a single part of what’s included. Since most people have their own idea of what an “all-inclusive” is, based on their experience with travel, we want to explain the full breadth of our inclusivity—which is likely more extensive than the all-inclusive reputation that precedes us. We also believe it’s one of the reasons we’ve been able to lasso these coveted five stars, rather than just gaze at them. In some ways, booking a stay at The Ranch at Rock Creek is a fun challenge. You may choose from 29 completely different accommodations in four categories: historic barn, glamping, lodge or luxury home. Although you can book directly online, this is where the culture of service begins. During a conversation with a Reservations Specialist, he or she can highlight the best accommodations for your needs. Then, once booked, a Ranch Ambassador takes over. It is their task to take down all preferences and build a custom itinerary for each member of your party. While dad has a Blue Ribbon fly fishing adventure, mom might enjoy an equestrian holiday, while the kids learn archery, riding, skating or geocaching. 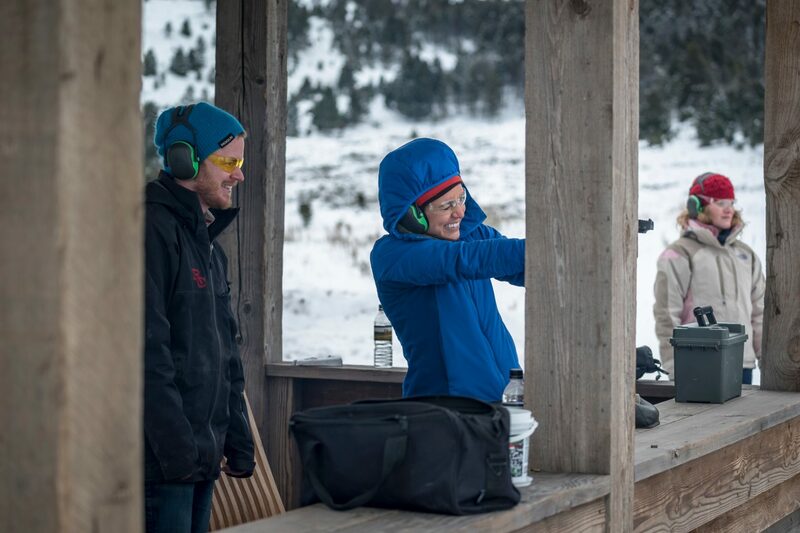 Perhaps a couple’s getaway means you venture out together for sporting clays in the morning and an afternoon of snowshoeing on over 20 miles of trails. We have sample itineraries on our website, but they are only suggestions. There are dozens of activities available and included—usually more than you could possibly do in one trip. It must be a rare thing to book and be asked for your shoe size along with your dietary restrictions. 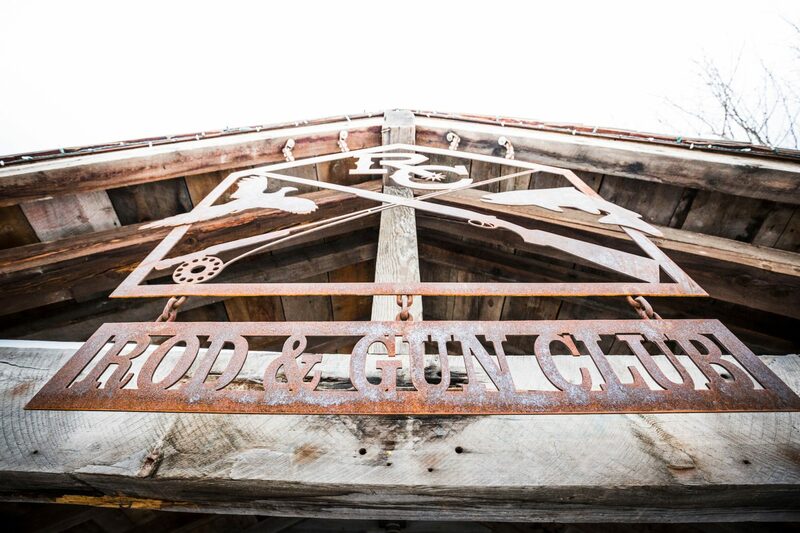 The Ranch provides all gear right up to the cowboy boots and hats waiting for you at the Rod & Gun Club upon arrival. Airport transfers from Missoula, Butte and Anaconda are included. 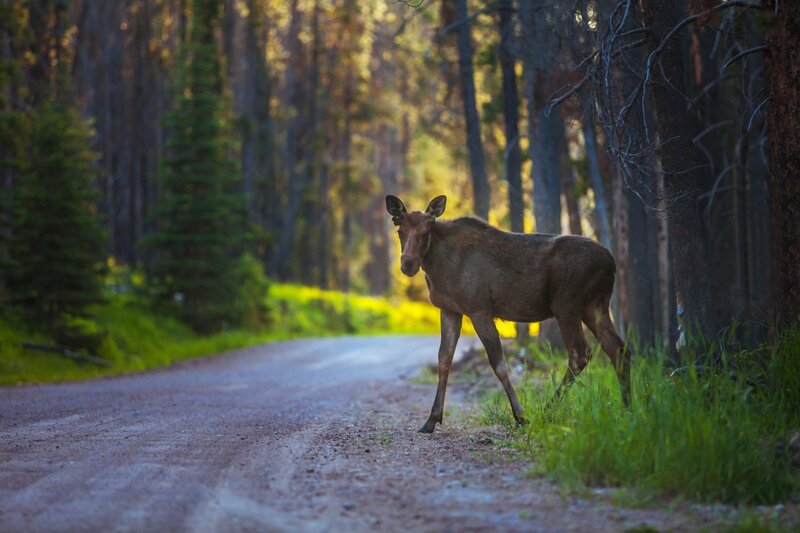 Unless you are planning a side trip to Glacier or Yellowstone National Parks (The Ranch is nearly equidistant between the two), you need not rent a car. You can be driven right to the front door of your accommodation. On The Ranch, most guests choose to walk to the Granite Lodge or bike using the provided mountain or cruiser bikes. Guests are conveyed to activities via SUV, Jeep, Ranger UTV or wagon. 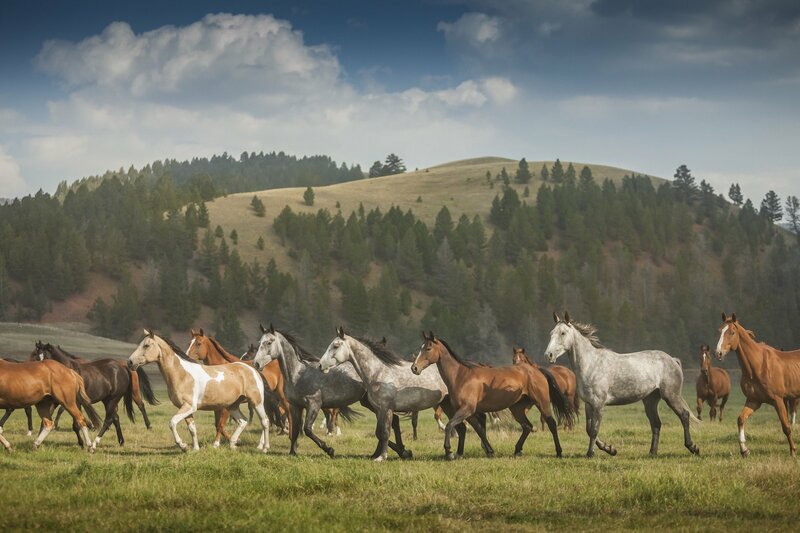 And, certainly our 75 beautiful horses will take you places few humans see. With the logistics out of the way, travelers are free to discover a pristine ecosystem nearly a mile above sea level. Activities are hidden in the hills and accommodations are built into the surroundings so when you look around you see a ranch, a lodge and little else than natural Montana hills and meadows. Each day our culinary team provides morning coffee, tea and fresh pastries by the fire, three meals, snacks and hors d’oeuvres. Executive Chef Josh Drage, Executive Sous Chef Ben Miller and their team are epicurean-minded and professionally trained, but they have contributed their own family recipes to embolden our menus with traditional Northwestern tastes. Breakfast and lunch are a mix of guest favorites and seasonal specials. Dinner is an ever-changing meal, ranging from Homestead Supper Club and Chef’s Tasting Menus to rodeo barbecues and wood fire Chef’s grills. 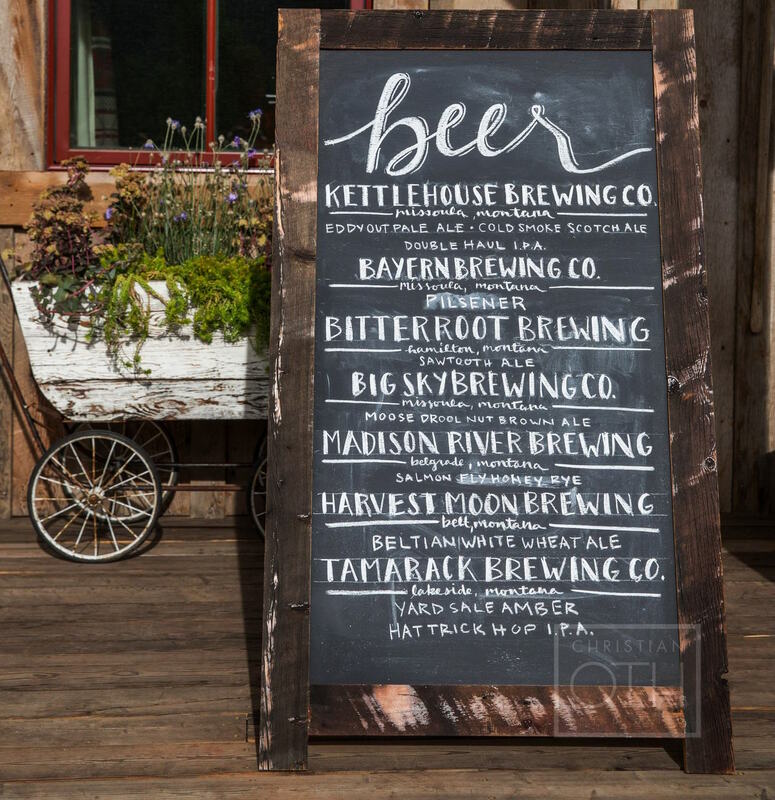 The overarching theme is that all dining is Montana farm-to-table and ranch-to-table cuisine. We are committed to using local purveyors. Most ingredients are raised, farmed, foraged, aged and smoked in Big Sky Country, many within our Five-Valleys area of Western Montana. This commitment extends past our cuisine. Regional wines, local draughts and Montana spirits are featured in our tasting menus, mixology hour and in our Silver Dollar Saloon. For the past three months, we’ve even showcased local brewers at our Montana Craft Beer Dinner every Thursday. 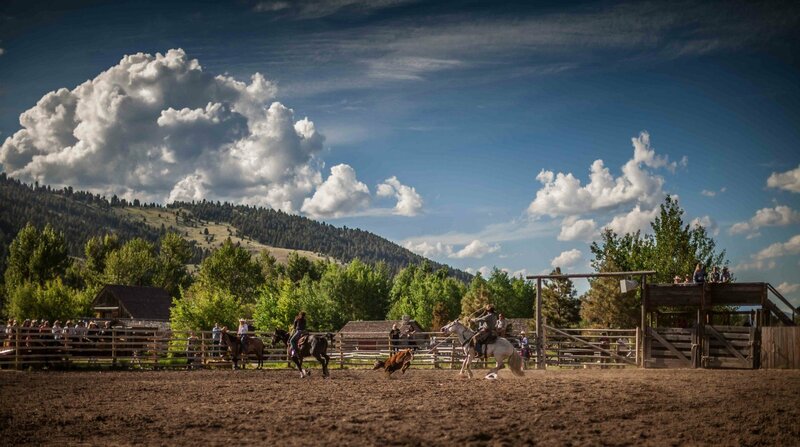 We also host weekly complimentary cultural events that immerse guests in the Montana lifestyle and ranch life. 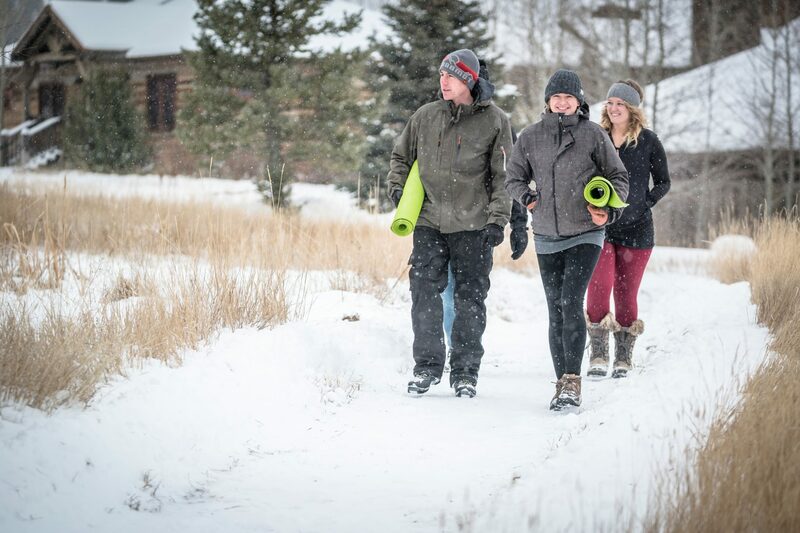 This winter, that has included sleigh rides, a Nordic Bonfire and Snowga. In the spring, we will begin fly tying classes, photography walks and nature treks guided by a master naturalist. Come summer, we’ll have a glamping breakfast ride, weekly rodeos and barn dances. 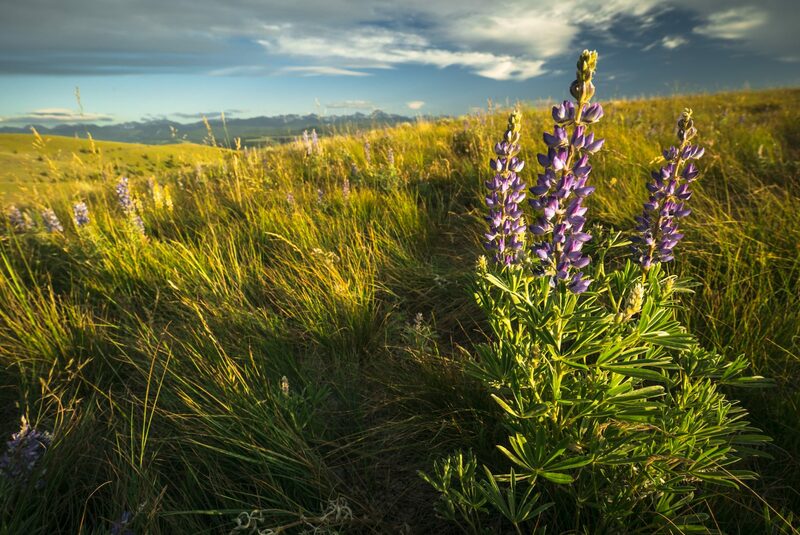 These events allow our guests to experience how Montanans connect with nature, celebrate and preserve its culture, and share their appreciation for the bounty and beauty of the land. #OptOutside is not just a yearly practice on Black Friday; it is a way of life. Montana is an adventurer’s paradise. That is why we include twice-daily guided outdoor activities in the cost of a stay. Our activities program is designed to be comprehensive and highly personalized. It also avoids logistical challenges and added costs that some may see as industry norm. Our inclusiveness allows you to flow through your custom itinerary in peace, without worrying whether you should spring for an extra excursion. Our Activities Department provides guides, gear and equipment for included activities as varied as ice fishing and ice skating and shooting clays and ropes course challenges. We encourage you to look at our full list of activities to see just how much knowledge these talented outdoorspeople possess. Our Barn manages a herd of 75 horses and ensure trail rides are one of our most popular activities. They also produce our summer rodeos, harvest hay to feed in the winter and calve, brand and drive our herd of Corriente cattle. Whether you consider yourself a seasoned adventurer or are just looking to try something new, each activity is customized to ability level. Our guides instruct, lead and then give you room to improve over the course of the day or trip. It’s an environment designed for play and progress. Our offerings change with the seasons, so a guest will find a completely different experience in the spring, summer, winter or fall. Each year we add more activities and seasonal celebrations that celebrate Montana’s historic roots and inventiveness. There are very few experiences we don’t include, like Granite Spa treatments and Mercantile goods, but even those elements are an encore designed to take the feeling of The Ranch home with you in state of mind or sublime souvenir. 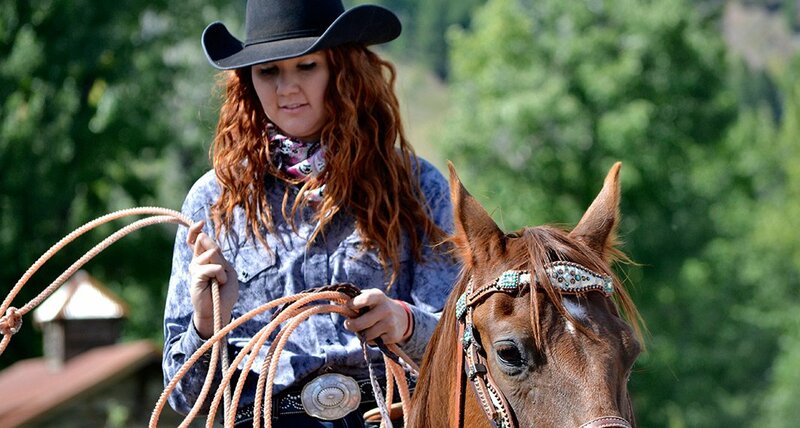 Our Ranch culture of service is exceptionally important in our all-inclusive designation. 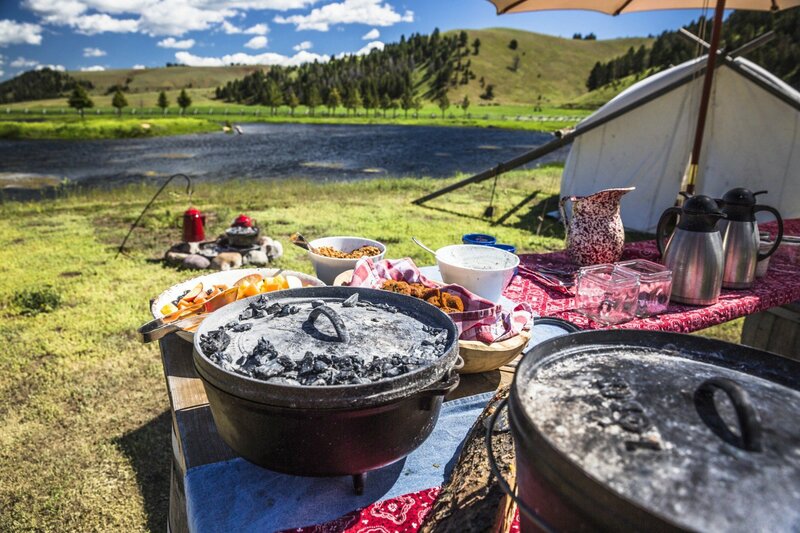 In addition to our cross-departmental commitment to anticipatory service, there is a desire to remain true to Montana’s tradition of homestead hospitality. 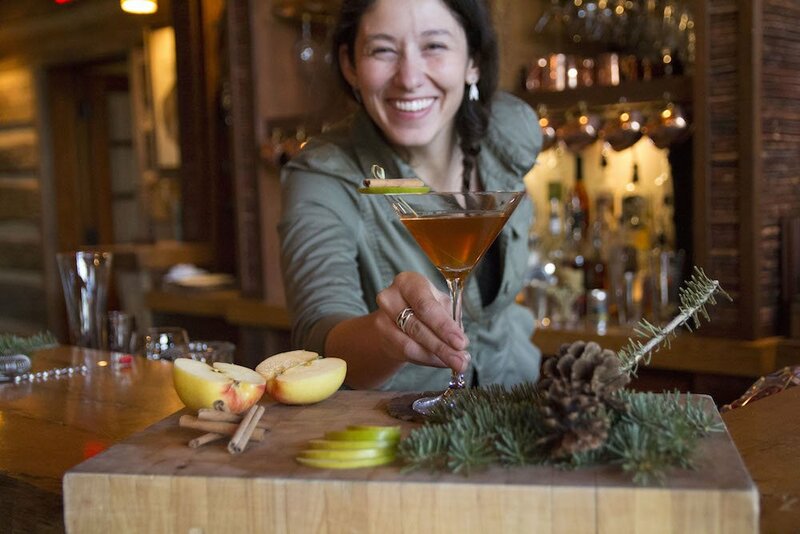 It comes alive when staff members share their personal passions for Montana culture. When our guests are welcomed to The Ranch, they are not presented with a separate product depending on which department receives them. 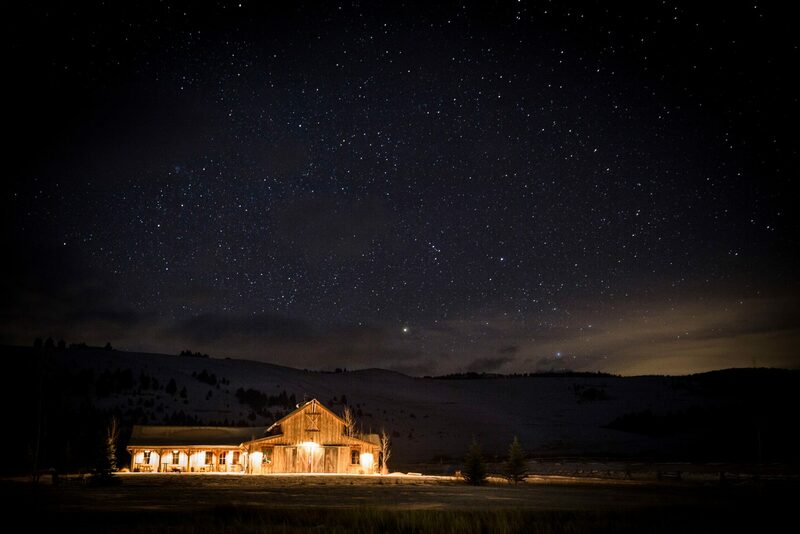 Our ranchers, whether they work at the horse barn or in the kitchen, aim high to provide consistent, exceptional and memorable service at every turn. This overarching hospitality creates opportunities to let loose and let the legendary West inspire you. 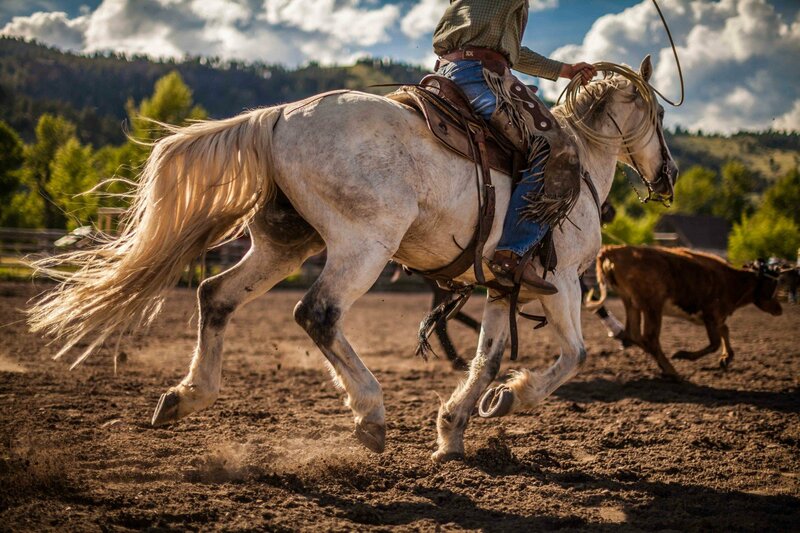 These moments sneak up on you when you’re settled back at home–children roaming free in open pastures and collecting bugs in the creek, generations gathered in the Silver Dollar Saloon for a bowling tournament or a honeymoon that crosses off a handful of bucket list adventures. 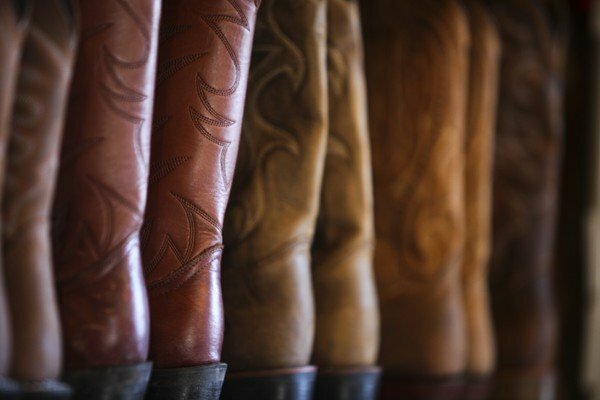 Our wranglers, culinary team, events team, bartenders, bike wranglers, guides, maintenance staff and management are so reliant on each other that a day at The Ranch is a ballet in boots. We want to thank each and every one of our guests for visiting, reviewing and helping us perfect this ballet over the years. 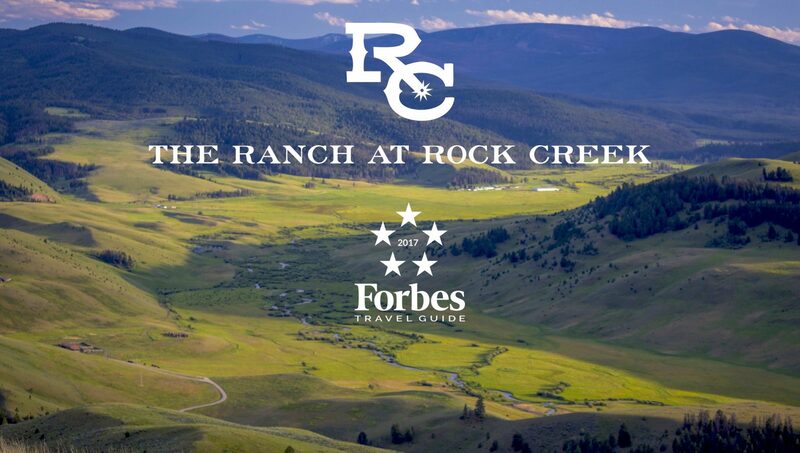 Thank you to Forbes Travel Guide from our remote valley in the American West! It is truly an honor to be recognized among the many remarkable properties throughout the world. If you want to join The Ranch at Rock Creek team, we’re hiring. Visit our Careers page to find open positions.